Mauviel French Carbon Steel Fry Pans are of the highest quality. Constructed from extra-thick carbon steel with riveted steel handles, this heritage-quality cookware will endure a lifetime of use. Cooking with carbon steel pans will change your impression of fry pan cooking. Inspired by the simple carbon steel cookware used throughout France, Mauviel’s M’steel collection represents a return to the roots of cooking. Featuring exceptional heat transfer and the ability to be preheated to extremely high temperatures, M’steel cookware is perfect for searing, browning, stir-frying and more. Constructed from extra-thick carbon steel with riveted steel handles, this heritage-quality cookware will endure a lifetime of use. 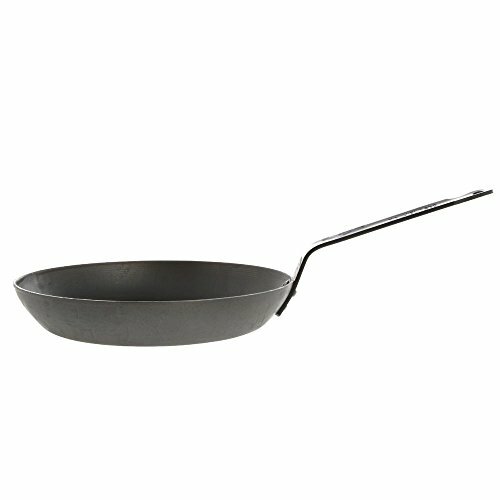 Skillet features a flat cooking surface for incredible results while searing and a sturdy angled handle for easy tossing and sautéing. 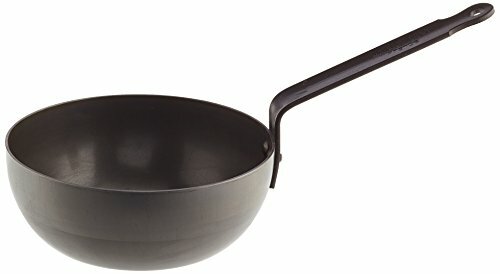 If you are looking to buy carbon steel pans, look no further. Robin Hood Cookware has a hand-picked selection of the top carbon steel pans just for you.